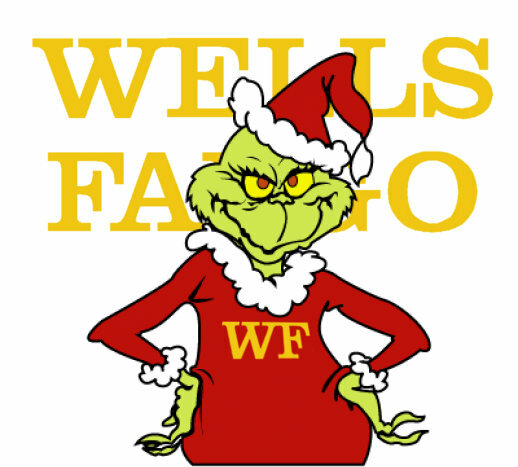 Does Your Bank Have the Standing to Foreclose on Your Home? In judicial foreclosure states (such as Illinois, Florida, Pennsylvania, New York, and New Jersey), your lender is required to go through the courts to foreclose on your property. 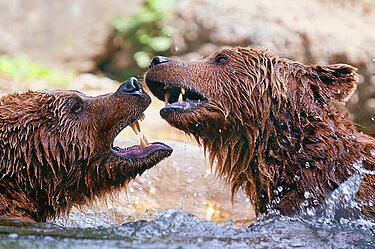 They become the plaintiff and you become the defendant in a foreclosure lawsuit. 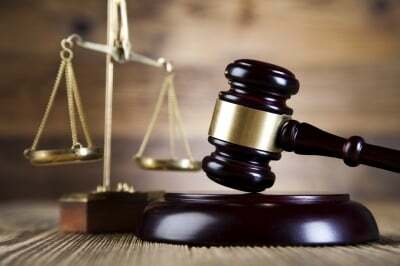 The plaintiff must prove to the court that they are the party in interest that's legally entitled to foreclose on your home. That, in legal terminology, is called standing. 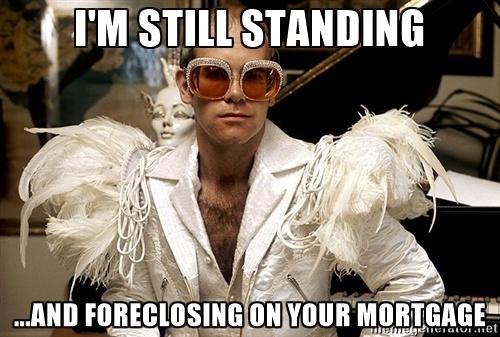 Standing is very important, and the plaintiff must have it at the time they file a foreclosure action against you. If they don't, your attorney may file a motion to dismiss the action because of it. 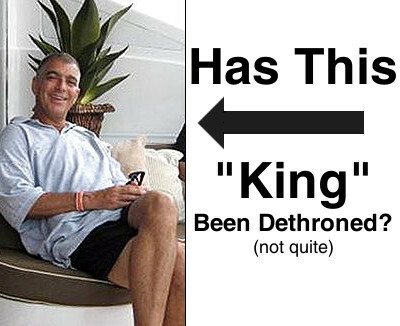 Florida's "Foreclosure King" Dethroned? Not Quite. Here's something that probably didn't make your local news: David J. Stern, the so-called "Foreclosure King" will more than likely lose his law license and will have to pay a $50,000 fine to the Florida Bar. This follows an extensive investigation and civil suit from the Florida Bar Association. While the fact is that this is the only court decision against Stern himself thus far (his companies, however, have been sued several times, and one of his companies is in the process of suing Stern for $60,000,000) surely pleased Stern, the big banks, and their cronies, it's a slap in the face to every homeowner in the nation, not to mention the homeowners in the Sunshine State who were torched by his firms' actions. Who is David J. Stern? If you're not familiar with David J. Stern and the impact he's had on the state of Florida, imagine if most of the court cases in one state (the nation's 4th most-populated state, at that) were controlled by a single law firm. Now imagine if this law firm was run in the most greedy and apathetic, but least efficient manner possible. Imagine that this law firm found several ways to make a mockery of everything the legal system stands for- from missing court appearances, to forging important documents, to blatantly disregarding the most basic laws that applied to its cases. Then imagine if these improprieties didn't only cost years worth of time and resources for the legal system and the taxpayers that finance it, but they also cost thousands and thousands of families their homes and livelihoods. If an industry insider was asked to compare the way big banks have handled the foreclosure crisis to the movies, he would not think of the highly coordinated drama of a war epic, nor would he mention the selfless heroism shown in superhero movies. Instead, he would probably compare the banks' ways to the silent ineptitude of the Marx Brothers or Charlie Chaplin; or even the destructive buffoonery of the Three Stooges. Unfortunately, the way the banks have dealt with people's homes- and by extension, their very livelihoods- is no laughing matter. Hundreds of thousands of people have lost-and are still losing- their homes because they don't know how to fight against the banks, even when the banks themselves don't have a proper handle on the foreclosure cases they've been filing. 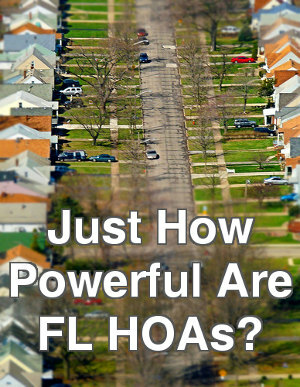 What Powers Do Florida Foreclosure Laws Give HOA's? In July, Florida recorded more foreclosure activity than any other state in the nation, according to the real estate data firm RealtyTrac. Nine of the top 10 metropolitan areas with the highest rate of foreclosures were Florida cities. 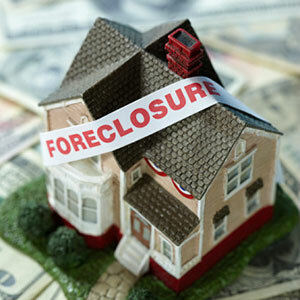 Florida has ranked number one in foreclosure-related activities for three consecutive months. While many areas of the country have experienced a drop-off in foreclosures—initial filings, foreclosure auctions and bank owned properties, the state continues to sift through the backlog of foreclosure cases. Most people know that mortgage lenders and local government can create liens that require foreclosure action, but many people don't know that condominium and homeowner's associations (HOAs) also can create liens that require them to avail themselves of foreclosure laws in Florida. HOAs have specific legal rights and powers over properties in the community. This authority includes initiating the Florida foreclosure process for issues related to delinquent monthly fees, dues and special assessments. 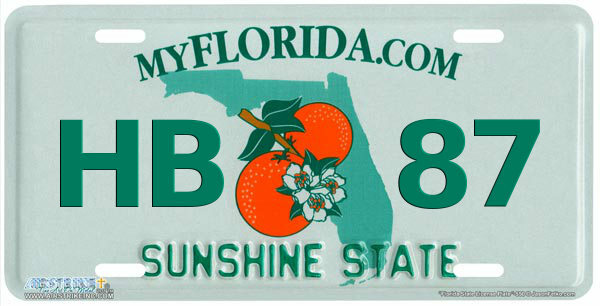 Florida may be in the Southernmost part of the United States, but it was and still is the center of the foreclosure crisis. Even today, thousands of Floridians are served with foreclosure papers every month. Florida is a judicial foreclosure state, meaning that foreclosures have to proceed through through the court system in order to be completed. This combination of judicial foreclosure and the severity of the foreclosure crisis has created what is consistently the nation's largest backlog of foreclosure cases; a problem which Florida's government had not addressed until recently.